I never get bored of the avocado, but it definitely helps to have an arsenal of recipes that innovate the traditional guacamole. This salsa incorporates grapefruit into the mix. 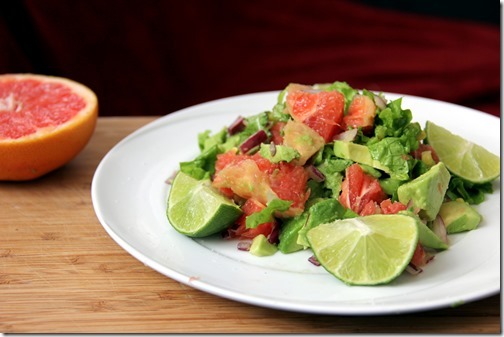 It’s a delicious salsa that accompanies a green leaf salad or baked salmon. Enjoy! Grapefruit: is high in enzymes that burn fat, has a high water content, helps shed pounds, prevents arthritis, works as an antiseptic, lowers cholesterol levels, prevents cancer with its antioxidant compound naringenin, treats cold and fever, dissolves gallstones, boosts immunity, promotes better digestion, and contributes to healthy and smooth skin. Peel the grapefruit, cut in half and chop the flesh into bite-sized pieces. Core, peel, and chop the avocado into bite-sized pieces. 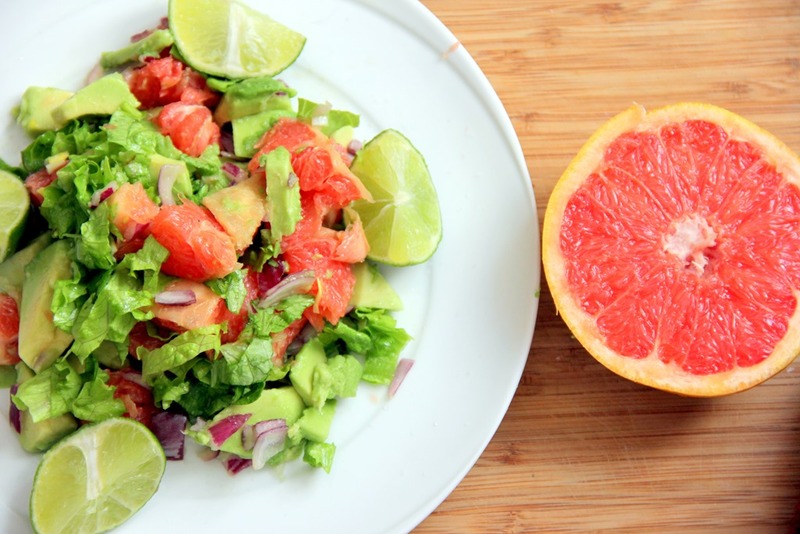 Toss into a large bowl with the greens, red onion and cilantro. In a small bowl, whisk together the olive oil, lime, salt and pepper. 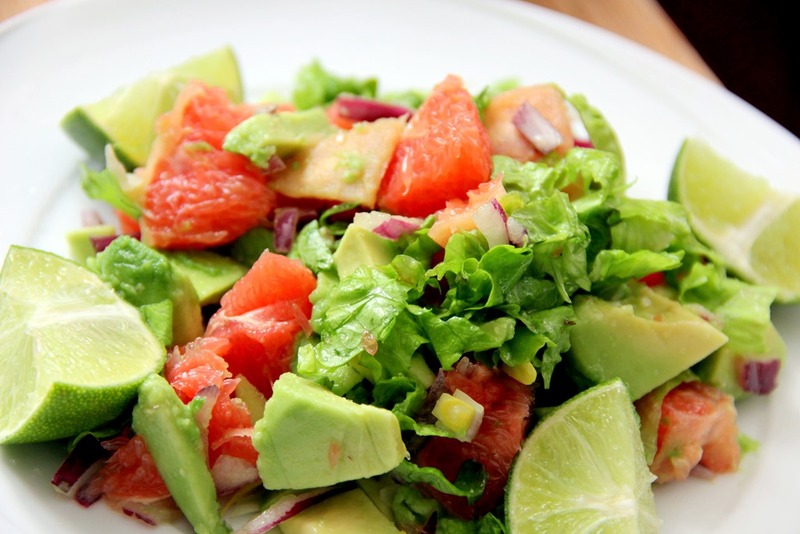 Add to the salad bowl and toss until all the ingredients are covered with the vinaigrette. Serve and enjoy. 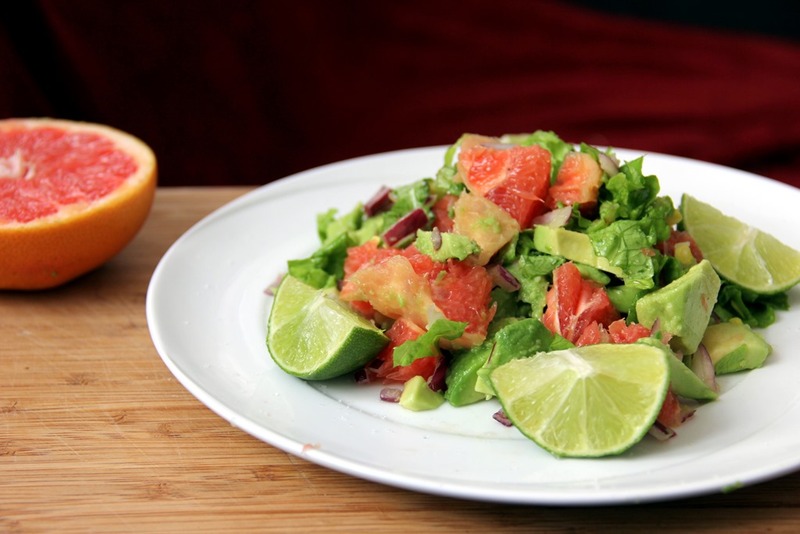 This entry was tagged avocado, grapefruit, lime, red onion, salad, side, vegan, vegetarian. Bookmark the permalink.